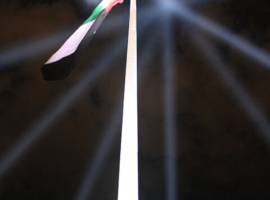 In December 2012, the United Arab Emirates celebrated its 41st National Day. 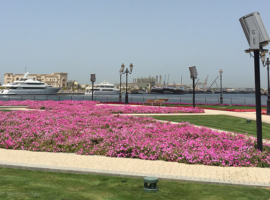 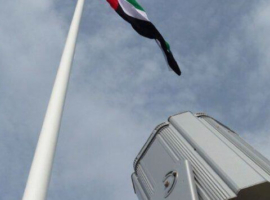 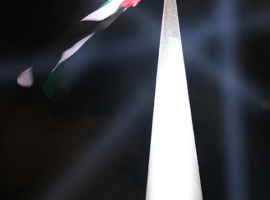 To mark the occasion, the emirate of Sharjah erected its own giant flagpole. 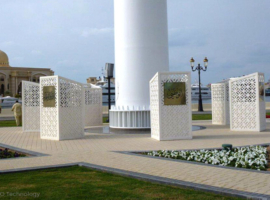 It was a project to which the highest priority had been accorded. 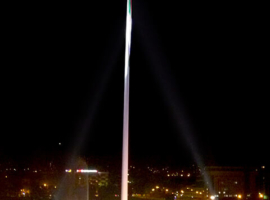 Now the 123-­metre flagpole is illuminated by a fixed installation comprising A&O FALCON STATIC ARC 7kW and 2kW architectural floodlights. 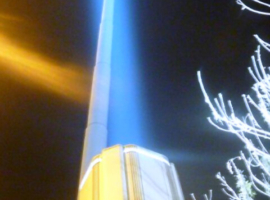 A&O Technology was commissioned to provide and program the illumination of the new town‘s landmark. 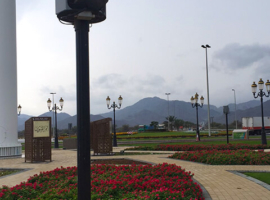 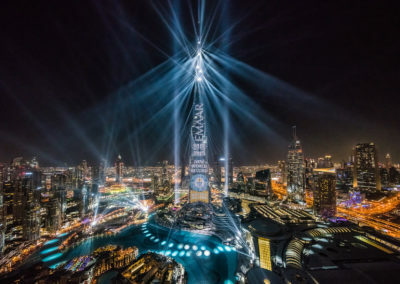 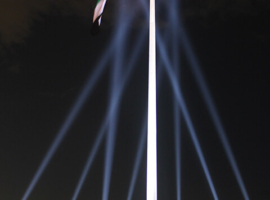 The lighting design for the Sharjah flagpole as well as its programming was the work of the A&O Technology creative department A&O Creative. 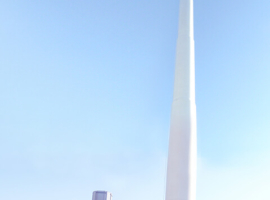 With this project, A&O Technology counts one more flagpole to its portfolio, thereunder the currently world’s largest flagpole in Dushanbe, Tajikistan, with its height of 165 metres. 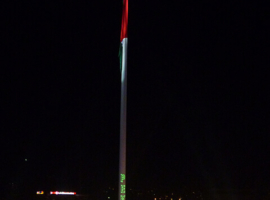 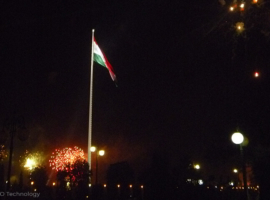 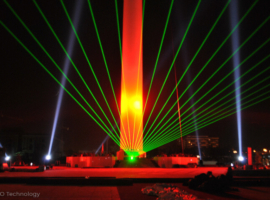 The 165 metres high flagpole is located in Dushanbe, the capital of Tajikistan. 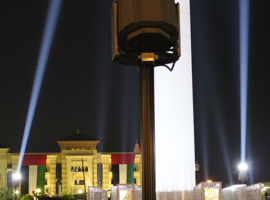 For the illumination of the 30 x 60 metres flag A&O Technology installed six FALCON STATIC ARC white 8,000W at a distance of about 86 metres around the pole and eight FALCON STATIC ARC white 3,000W with a four metre distance which were installed in order to illuminate the pole. 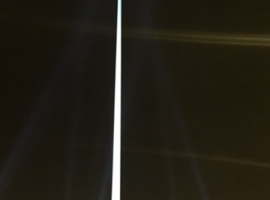 The daily illumination is run by a photoelectric control. 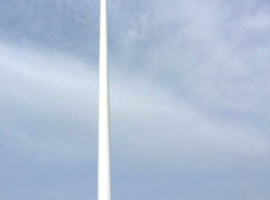 The electrical devices of the main distribution board have been installed in the interior of the flagpole. 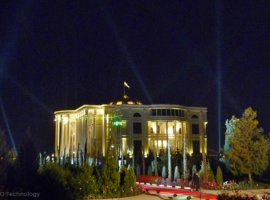 The driving design criteria for the Dushanbe flagpole was extreme seismic zone classifications for this area (Seismic Zone 4 as classified in the Uniform Building Code). 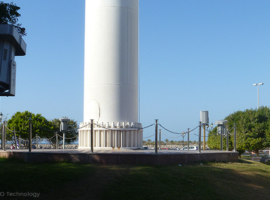 Due to this zone classification, the pole geometry was modified to include a larger diameter base, fortified connection flanges, and increased wall thickness. 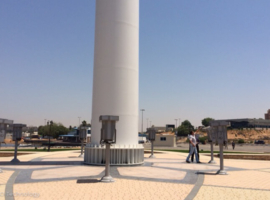 The design phase for this pole started in July 2009, fabrication was completed on October 2010, and final assembly and erection on site took place during April-May 2011.